Zappos excels at exceeding expectations. Today is the fifth session of Summer Term II of the 2013 GsD program with Applied Guestology 201, a review of some of the leading organizations who deliver exemplary Guest Experiences with application to ChurchWorld. Zappos. The name has come to stand for a new standard of customer service, and amazing online shopping experience, a great place to work, and one of the most amazing transformational business success stories you will ever hear. And it all started in 1999 when founder Nick Swinmurn could not find a specific pair of shoes at his local mall. That same year, Swinmurn approached friends Tony Hsieh and Alfred Lin with the idea of selling shoes online. Hsieh was initially skeptical, and almost deleted Swinmurn’s voice mail. Fortunately he didn’t, and his venture capital firm invested $2 million in the idea. Soon Hsieh was having so much fun he bought out the other partners and became CEO of the company. In the beginning, Zappos struggled, but their intense focus on culture soon paid dividends as the company reached the $1 billion gross sales annual mark in 2008. 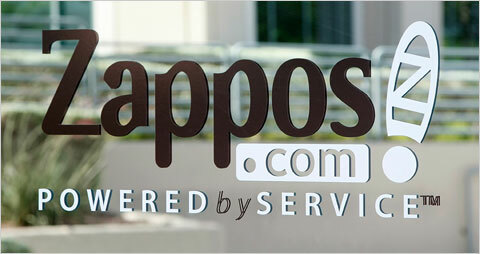 In 2009 Zappos was acquired by Amazon, but allowed to remain operating as an independent company. How important is customer service to Hsieh? We want to be the best in customer service. We are a customer service company that sells shoes. And that is achieved by exceeding expectations. The double-edged sword of exceeding customer expectations is that once you deliver extraordinary service, extraordinary can become ordinary and expected. Zappos has created a legion of raving fans that use social media to talk incessantly to their families, friends, colleagues, and neighbors about the service excellence of the brand. That, coupled with significant media attention about service speed at Zappos as well as free upgrades, has produced high expectations for service delivery. Some leaders might see the ever-escalating nature of customer expectations as an exercise in futility. What’s the point of delivering great service if it will soon just become good service? The immediate answer is that if you don’t keep reaching, your average service will soon become poor. Truthfully, providing great service is never-ending and, at times, frustrating. Whether you compare yourself to world-class service providers, constantly adjust to customers’ increasing expectations, or simply try to be better than you were the day before, service excellence is a dynamic, challenging, and rewarding journey. Zappos diligently looks for effective ways to improve its operational excellence, increase personal service delivery, and go beyond the predictability challenge to exceed expectations and surprise customers. Make WOW a verb that is part of your company’s everyday vocabulary. Empower and trust your customer service reps. Trust that they want to provide great service…because they actually do. Escalations to a supervisor should be rare. Realize that it’s okay to fire customers who are insatiable or abuse your employees. Don’t measure call times, don’t force employees to upsell, and don’t use scripts. Don’t hide your 1-800 number. It’s a message not just to your customers, but to your employees as well. View each call as an investment in building a customer service brand, not as an expense you’re seeking to minimize. Could you apply some of the same principles that Zappos does in the Guest Services Team at your church? How much do you know about your Guests’ wants, needs, and desires? What have you done to design a Guest experience that not only responds to Guest needs but also anticipates them? Have you mapped your Guest journey across all contact points? What are the small and epic acts that make up your Guest service story? What do people remember about the way contact with your organization made them feel? What are the stories circulating about your organization’s Guest services practices? How are you capturing and retelling large and small WOWS delivered by your team? It works for Zappos; it can work at your church, too. This entry was posted in Guest Experience and tagged Applied Guestology 201, Church Guest Experience, Delivering Happiness, GsD Summer 2013, Guest Experience, Joseph Michelli, The Zappos Experience, Tony Hsieh, Zappos. Bookmark the permalink.